In this Aug. 3, 2010 photo, individuals participate in a walking meditation on the grounds of the Insight Meditation Society (IMS) Retreat Center in Barre, Mass. The Buddhist-influenced center offers silent retreats that allow individuals to take a break from the stresses and demands of daily modern life. The retreats are not entirely silent as there are lectures on Buddhist philosophy, meditation instruction and chanting along with set times for sitting, walking, yoga, working and eating. A very pregnant Juliana Berger took a five-day trip with her husband and didn't speak to him once. They weren't fighting. They were attending a silent retreat. Berger, 33, a web developer, had attended a number of silent retreats over the past decade. Her husband, Jonathan Mann, a 32-year-old songwriter, had never been. Like so many people these days, the New York-based couple wanted a break from the stress of daily life. "I thought the stillness would help me connect with my baby," said Berger, who was nearly eight months pregnant at the time. Silent meditation transcends most religious traditions, and can be traced back thousands of years. Today's retreats last from a day to several weeks and take place at monasteries, colleges, spas, hotels, and even hospitals. "It's not really a vacation," cautioned Robert Epstein, senior research psychologist at the American Institute for Behavioral Research and Technology and professor of psychology at the University of the South Pacific in Fiji. "It's a very unusual experience, which can certainly be beneficial, but it's difficult in some respects, because it's a time when you are alone with your thoughts. And you can hear your thoughts very clearly." For some people, hearing those thoughts can be difficult, though by having time and space to think them through, some people are able to "exhaust the most disturbing ones and throw them away," he said. Berger and Mann both experienced what they described as a transformation during their stay earlier this year at the Buddhist-influenced Insight Meditation Society in Barre, Massachusetts. The retreat wasn't completely silent. There were teachers, lectures, small group sessions and some necessary words exchanged while cooking the vegetarian meals - but none to each other. Each of the 90 participants had their own modest single room. The retreat had activities scheduled from 5:30 a.m. until 9:30 p.m. There were about eight daily periods for sitting, along with set times for walking, yoga, group interviews, working, eating, chanting, meditation instruction and lectures on Buddhist philosophy. Mann said he's never been good at being still and found a 45-minute meditation on the second day physically painful and emotionally frustrating. Afterward, he went to his room and wept in what he described as, "the most violent emotional reaction" he's ever had. "The meltdown helped a lot," he said, explaining he decided to stop trying so hard. He started moving about during the meditation periods and allowed his mind to wander. As a result, he relaxed, and "some moments of clarity came," he said. He realized how much anxiety he carries. Berger, too, found that she had to stop trying to control things. She had planned, for example, to get lots of rest, but that didn't happen. "I ended up having terrible difficulty sleeping and had to sit with fatigue, exhaustion and frustration," she said. "When I sat with the part of myself who was trying to control and protect and had compassion for her, I experienced a profound transformation," she said. "I was able to experience joy in the present moment: a beautiful walk, a glorious nap, one breath in, one breath out." Other retreat philosophies offer participants more time to go at their own pace. For instance, the four-day retreats offered to students and faculty by Fordham University, in New York City, have some scheduled prayer and a brief daily meeting with a spiritual director, but the rest of the time is for personal reflection. "I always suggest to people to get out into nature," said Carol Gibney, an associate director of the campus ministry and director of Ignatian programs. —It takes at least 24 hours for a person to move past the point of "monkey brain" - racing from one thought to another and begin to relax. Once a person relaxes, there tends to be a heightened awareness of things both internal and external. —The stillness evokes all kinds of feelings, including frustration and even grief. "Compassionate awareness is what emerges," she said. "Compassion for oneself; for feelings that they might have buried and pushed aside." —In choosing a retreat, be an educated consumer. Consider the mission of the retreat house, read reviews and talk to friends. —With retreats increasing in popularity as people try to get away from their frenetic lifestyle, "Think about what you're getting away from and what you're going to," she said. —Finally, she advises: "Be open. Expect to be surprised." "Going on a silent retreat is a journey," she said. "When you take away all of the energy we put into communication, it is redirected to the parts of your life you normally ignore. I would recommend it to anyone." 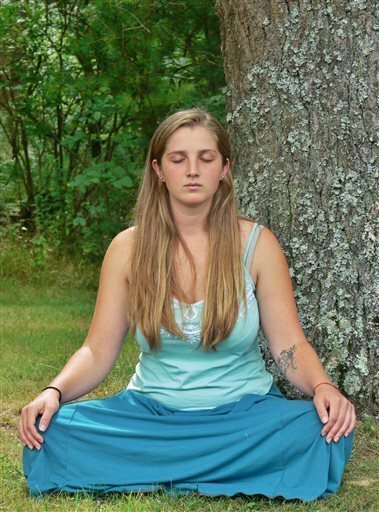 INSIGHT MEDITATION SOCIETY: Barre, Massachusetts; http://www.dharma.org/meditation-retreats/retreat-center/retreat-center-schedule . Fees vary by type and length of session.